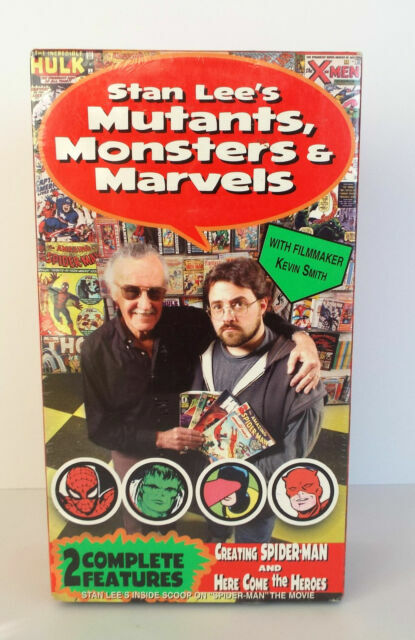 NEW- STAN LEE'S Mutant's Marvels' and Monsters Double VHS Sealed Pack 2002 Rare. Condition is Brand New. Shipped with USPS Media Mail. item 6 Stan Lee’s ‘Mutants Monsters & Marvels’ TWO COMPLETE FEATURES |VHS| SEALED! -Stan Lee’s ‘Mutants Monsters & Marvels’ TWO COMPLETE FEATURES |VHS| SEALED! FACTORY SEALED - Beauty and the Beast (VHS, 1992, Walt Disney) RARE, BRAND NEW! !